With the leaks regarding NVIDIA’s upcoming next generation graphics cards and NVIDIA having an event called “GeForce Gaming Celebration” this coming August 20; these are just some indicators that something new is coming (finally after 2 years). It’s a sign that, although unconfirmed at this point in time, a certain GeForce GTX 1180 or GTX 2080 will come out soon. 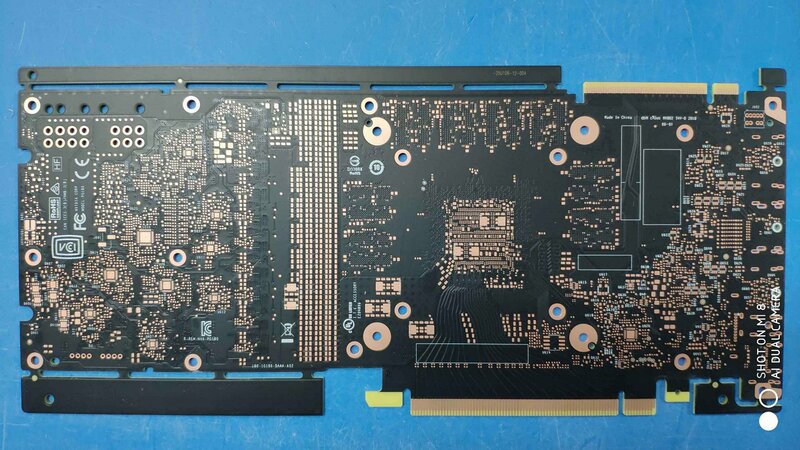 Recently, photos of what is believed to be the PCB of the upcoming GeForce GTX 1180 (2080) graphics card surfaced from a Chinese site Baidu. Notice that I keep saying “1180 (2080)”; because at this point it’s not confirmed whether the next gen graphics card would be named 11 series or 20 series. Nevertheless, these are just product / series names that can easily be changed when finalized. 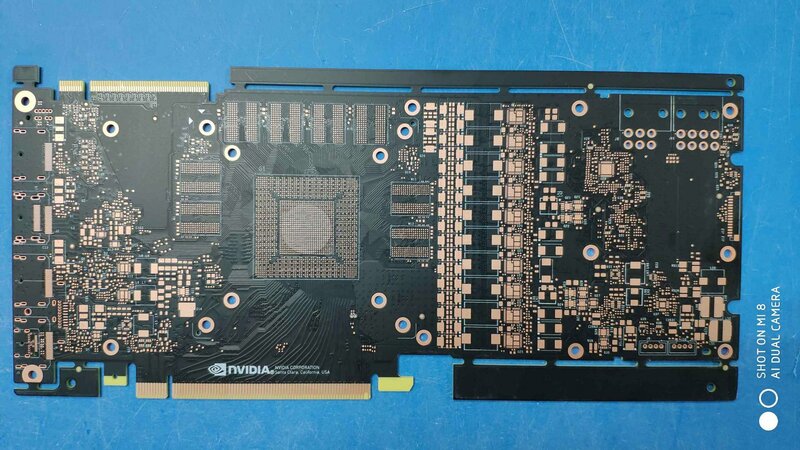 Check out the alleged GeForce GTX 1180 / 2080 PCB below. As you can see from the image above, this is no doubt an NVIDIA graphics card’s PCB. Notice that the usual two-finger SLI connectors are gone and they are replaced with what it seems to be an NVLink finger; just like on the TITAN V. The location of the GPU die is on the usual spot with eight slots for the GPU’s memory. This means that the graphics card may have 8GB, 12GB or 16GB of memory; assuming all slots will be populated. It will also have 10 power phases, again if all slots are populated. The PCB also reveals a 6+8 power connector, similar to that of the current GTX 1080 Ti Founders Edition. Not much to say at this point, as you can see, the general layout of the PCB is more or less similar to the current generation graphics cards (except for those NVLink / SLI connectors). There’s 4 (+1) output ports, most probably the usually output connectors; DisplayPort, HDMI, DVI. What I am interested to see if NVIDIA will still use the same cooler shroud design they used on the GTX 10 series. I am hoping that NVIDIA will introduce a new cooler shroud design, something that is different from the current GTX 10 and TITAN Xp / V graphics cards. Again, according to rumors, NVIDIA may announce the next generation graphics cards during the GeForce Gaming Celebration event this coming August 20. More or less we’ll see these new graphics cards rolling out by end of August for the GTX 1180 and a month after for the GTX 1170 down.